Just as tasty as Moo Organic, our conventional milk is versatile, wholesome and a great source of calcium. It’s also full to the brim with natural vitamins and minerals, like riboflavin and Vitamin B12, making it perfect for strong bones and all-round wellbeing. 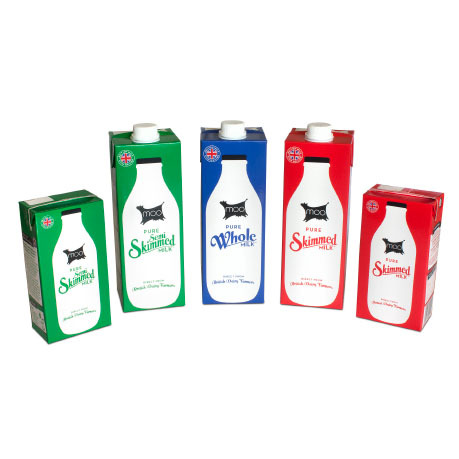 Available in skimmed, semi-skimmed and whole milk varieties, our ultra-heat treatment ensures it will last in the cupboard for up to 6 months.